It’s been a busy month for me! Work is as mad as ever then I was in London last weekend for Food Blogger Connect learning lots about being a food blogger. 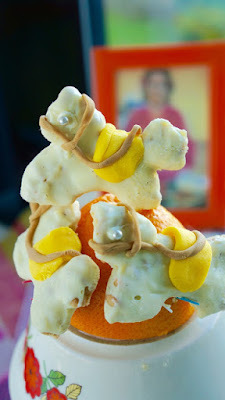 A quick run through of the gorgeous gaggle of entries for Treat Petite this month. ‘Anything Goes’ was the theme and anything went as long as it wasn’t big cakes, loaves etc…(you know the idea). Firstly there was Angela from Perfecting Patisserie who entered salted caramel praline macaron. These looked visually stunning and I bet they tasted as good as they looked. Angela at ‘Only Crumbs Remain’ gave us these ‘99’ Ice-Cream Cupcakes with blackberries. 99’s take me right back to my childhood. 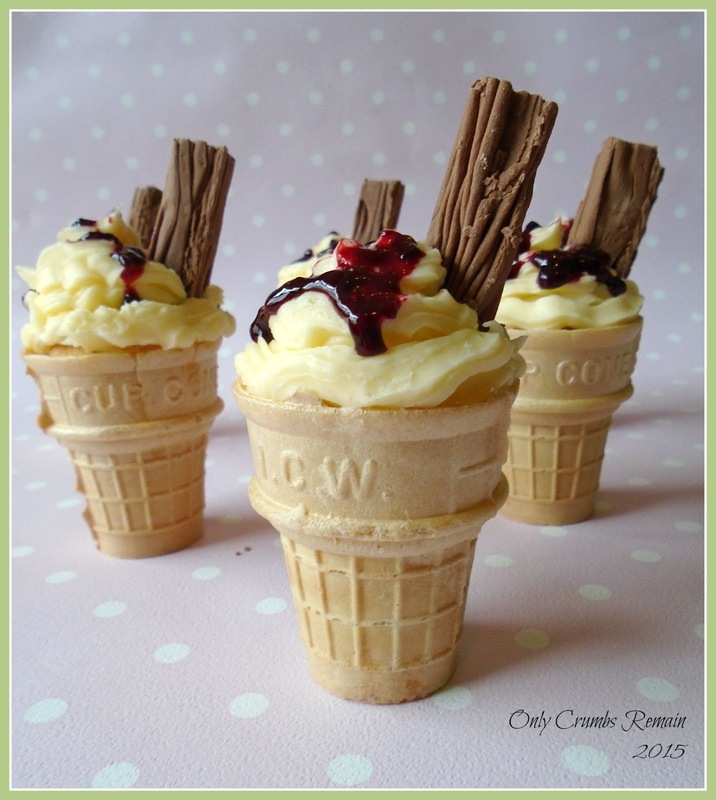 These cones looked cunningly like real ice-cream too. Charlotte in her lively kitchen gave us Chocolate Orange Meringues. 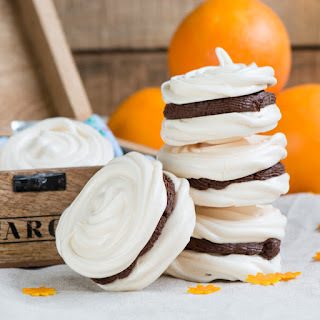 If you can’t wait until Christmas to get your choccy orange why not give Charlotte’s recipe a try? Fanny kept calm over at Keep Calm and Fanny On and brought us a bonkers biscuit concoction made to look like horses – neigh bad!! 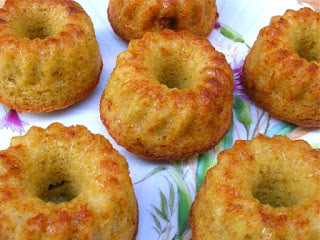 Choclette at Tin and Thyme made Honey Apple Cardamom Mini Bundt Cakes – these look moist and delicious bursting with tastes of the season. Ros, The More Than Occasional Baker baked chocolate blackberry cupcakes. 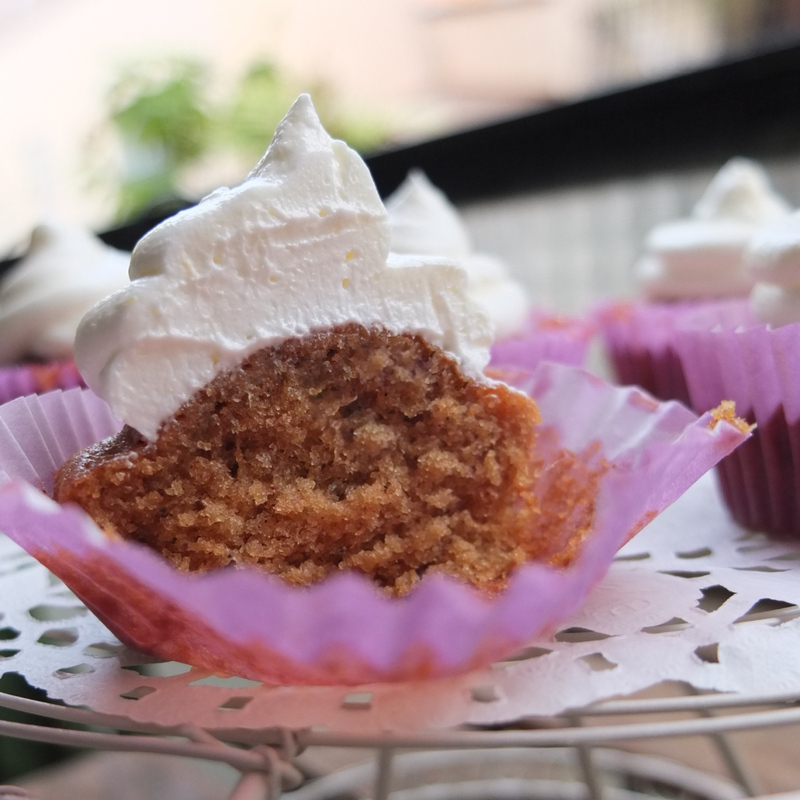 A great flavour combination and the frosting on too looked like roses – very pretty. Lili at Lili’s Cakes baked Jamaican ginger cupcakes with lemon swiss meringue buttercream frosting. I bet these are sweet and tangy in equal measure. The frosting looks like an inviting duvet ready to sink into! My pal Lisa at United Cakedom made madeleines in Pistachio and cardamom flavour. 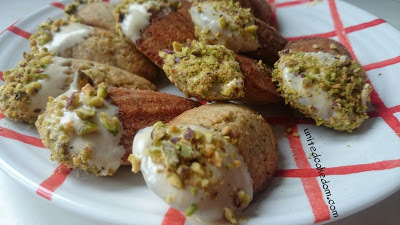 The madeleines were mentioned in a book she was reading which inspired her to bake these beauties. 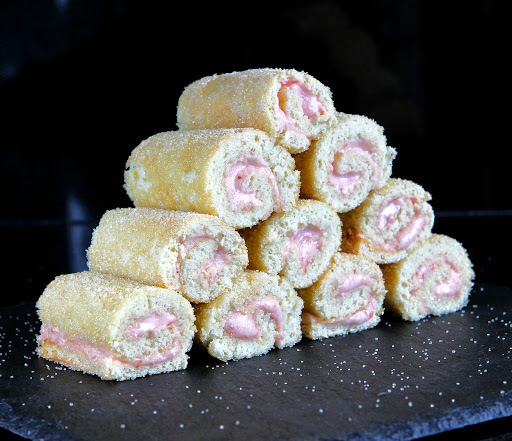 Kate, The Gluten Free Alchemist, baked a big vanilla swiss roll – both gluten and dairy free. But hang on you might be thinking – it’s a big cake! Not to worry Kate made mini rolls too which look just like naked chocolate ones – too cute!! Johanna at Green Gourmet Giraffe didn’t actually bake – instead she went for No Bake Chocolate Oat Slices. 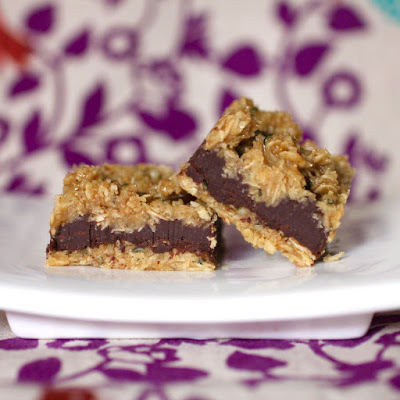 I love chocolate and oats together, so I may be giving these a try very soon! Caroline at Caroline Makes baked butterscotch blondies and these look divine. 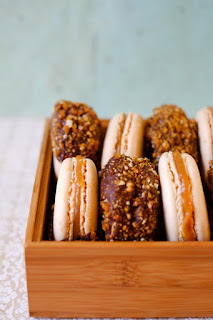 With butterscotch chips which are very addictive these would go perfect with your next cuppa! My entry is for Maple Spice Brownie Cupcakes – made with a mix of maple sugar, seasonal spices and a brownie mix these cupcakes were heavenly even if I do say so myself! 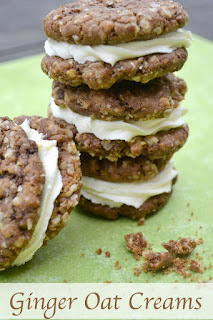 Helen at Casa Costello entered her chewy ginger oat cream cookies. 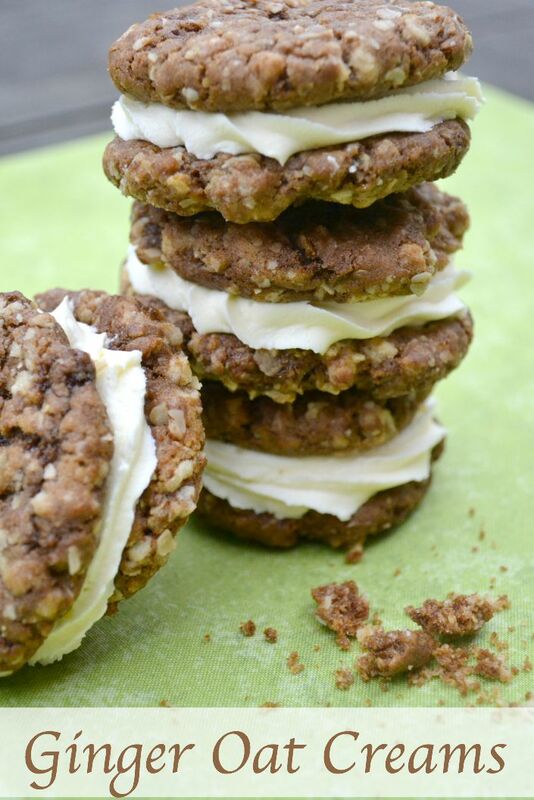 They look delicious and way better than those shop bought cream cookies. My baker in crime Kat the Baking Explorer whipped up some PB Oreo Truffles with some new Peanut Butter Oreos she had been sent to try - how devilishly good do these look? Thanks to everyone for entering this month's Treat Petite. It's me on duty next month too - so stay tuned for October's theme!! Great round up, thanks for including the wee horses! Brilliant round up, everything looks delicious! Hope to join in for October but might not have time! There are always so many delicious things in these round-ups. This is no exception and I don't know what I want to dig into first. Thanks for doing a fab round-up.